The presidential candidate of the Peoples Democratic Party (PDP) in the February 23 presidential election, Alhaji Atiku Abubakar, and his party yesterday in Abuja, commenced legal processes, challenging the victory of President Muhammadu Buhari and the All Progressives Congress (APC) at the poll. 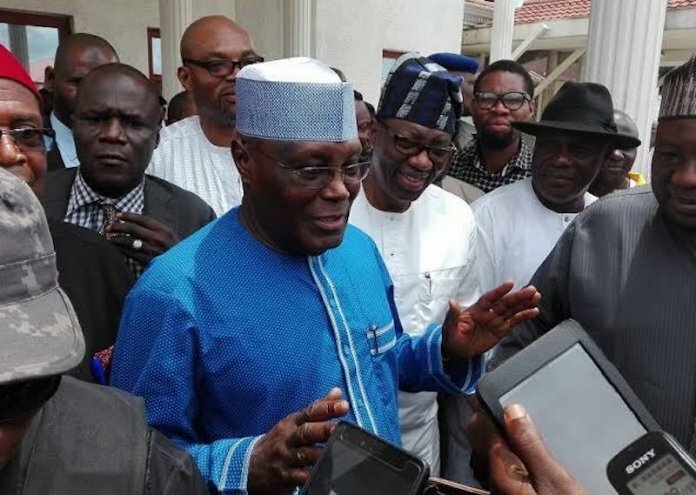 Atiku filed an ex-parte motion at the Court of Appeal in Abuja, venue of the Presidential Election Petition Tribunal, in which, along with the PDP, he prayed for an order compelling the Independent National Electoral Commission (INEC) to allow them inspect the voter register and other vital documents used in the conduct of the election. and deliberate violations of the electoral law and guidelines during the presidential election. 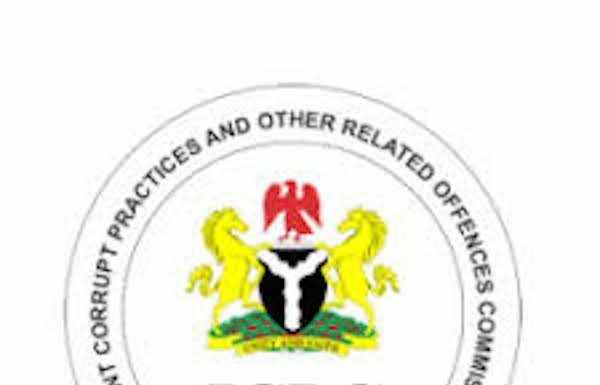 The Coalition of United Political Parties (CUPP) also raised the alarm over an alleged attempt by Buhari and the Economic and Financial Crimes Commission (EFCC) to use all means to frustrate the efforts of Atiku to retrieve what it described as his stolen mandate at the election tribunal. But the APC Presidential Campaign Council denied lobbying the international community to persuade Atiku not to challenge result of the election, saying it is anxious to meet the PDP candidate in court. INEC had declared Buhari and his party, APC, winner of the poll, having scored 15,191,847 as against Atiku’s 11,262,978. Dissatisfied with the conduct and outcome of the election, the former vice president and his party vowed to approach the election petition tribunal to ventilate their grievances as well as reclaim their alleged stolen mandate. Consequently, the plaintiffs yesterday filed an ex-parte motion at the Court of Appeal in Abuja, venue of the Presidential Election Petition Tribunal. In the motion, Atiku and the PDP are praying for an order compelling INEC to allow them Inspect the voter’ register and other vital documents used in the conduct of the election. Respondents in the motion ex-parte dated March 4 and filed March 5 include INEC, Buhari and the APC. The motion filed by a Senior Advocate of Nigeria (SAN), Chief Chris Uche, is praying the tribunal to compel the electoral body to allow their agents to scan and make photocopies of vital documents used in the last presidential election for the purpose of proving their case at the tribunal. The application, according to our findings, is supported with a 12-paragraph affidavit deposed to by one Col. Austin Akobundu (rtd. ), Director of Contact and Mobilisation for the Atiku Abubakar Presidential Campaign Council. However, no date has been fixed for hearing of the motion. When THISDAY visited the Court of Appeal, Abuja Division serving as the presidential election petition tribunal, a functional registry and Secretariat have been opened for the purpose of receiving petitions from aggrieved presidential candidates against the last presidential election. In another development, the CUPP spokesperson, Mr. Ikenga Ugochinyere, said in a statement issued yesterday in Abuja that Buhari, through the EFCC arrested the Deputy Director-General of PDP Presidential Campaign Organisation, Kabiru Tanimu Turaki, describing Turaki’s arrest as an attempt to derail the completion process of filing the case. challenge of the rigged presidential election of 23rd February,” CUPP said. The opposition parties also alleged that a source within the EFCC informed them that Turaki is not being questioned by EFCC officials but by a team from the Presidential Villa who are only questioning him about the details of the petition of the PDP. “They are questioning him on the evidence the PDP has in its possession and the location of the documents/legal secretariat and list of witnesses. This is obviously with a view to storming the location, carting away relevant papers and derailing the filing of the papers in the tribunal which must be completed within 21 days from the date of announcement of the election results,” CUPP alleged. Meanwhile, the PDP yesterday besieged the headquarters of INEC to protest alleged cases of infractions and deliberate violation of the electoral law and guidelines during the presidential election. The National Chairman of the party, Prince Uche Secondus, who led members of the National Working Committee (NWC) and other leaders of the party during the protest, also submitted a petition to the electoral body. The petition, addressed to INEC Chairman, Prof. Mahmood Yakubu, and jointly signed by Secondus and the National Secretary of the party, Sen. Ibrahim Umaru Tsauri, was dated March 4, 2019, with reference number, PDP/DOM/INEC/19-004. The party in the letter placed on records the alleged infractions and violations of the electoral law and the regulations/guidelines regulating the 2019 general election, which it said have very negative implications on the credibility, transparency and integrity of the entire electoral processes particularly the just concluded presidential and National Assembly elections. The protest according to Secondus, became imperative just few days to the gubernatorial and state House of Assembly elections billed for Saturday, March 9, 2019. The main opposition party decried the non-usage or selective enforcement of the Smart Card Reader (SCR) machines across the country. The party stated: “We observed with regrets that the usage of the SCR machines were enforced strategically in the South-south, South-east and the North-central zones of the country, which are essentially PDP strongholds. The PDP also lamented the unconstitutional deployment of the armed forces, especially soldiers and police for the illegitimate purposes to harassing, intimidating, suppressing of leaders of the party and suppression of voters in PDP strongholds across the country. Responding on behalf of INEC Chairman, Yakubu, INEC National Commissioner, Legal, Mrs. May Agbamuche-Mbu, thanked the protesters for conducting themselves in a civilised way to approach the commission. According to her, “I want to say that INEC, we are here to do a professional job, but don’t forget that INEC cannot do the work alone. But first and foremost, INEC has received your complaint. We are going to look at it critically, where we need to change, we will change. “This country belongs to all of us and we must protect it with all our might. I believe that on Saturday the elections will go on very well, but our mantra in this election is that we want peace in our country. In a related development, the APC Presidential Campaign Council has denied lobbying the international community to persuade Atiku not to challenge result of the election in the court. In a statement issued yesterday by the Director of Strategic Communications, APC Presidential Campaign Council, Mr. Festus Keyamo SAN, the party said it was an unauthorised group that wrote a letter to international bodies and not Buhari Campaign Organisation. He said: “Our attention has been drawn to some news item and posts on social media reporting that we wrote a letter to some international bodies to prevail on Alhaji Atiku Abubakar not to proceed to court to challenge the result of the 2019 presidential election. Keyamo said the official position of the campaign council is that Atiku has a constitutional right to seek redress in court, adding it will not do anything to curtail that right. “In addition, we are very anxious to meet Alhaji Atiku Abubakar in court in order to show the world in a conclusive manner the free and fair nature of the comprehensive defeat of Atiku at the polls,” Keyamo added.